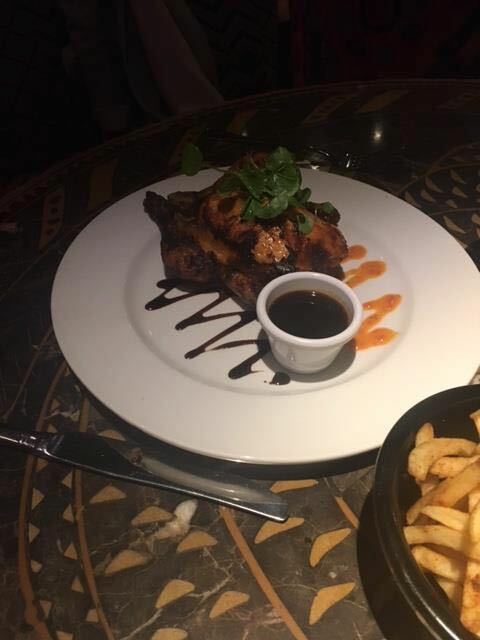 In the heart of Camden’s stables, Shaka Zulu takes you out of the city for a moment and transports you to South Africa. The restaurant is on two levels and has a great, entertaining atmosphere. We first had cocktails at the bar, all of which had interesting flavours. 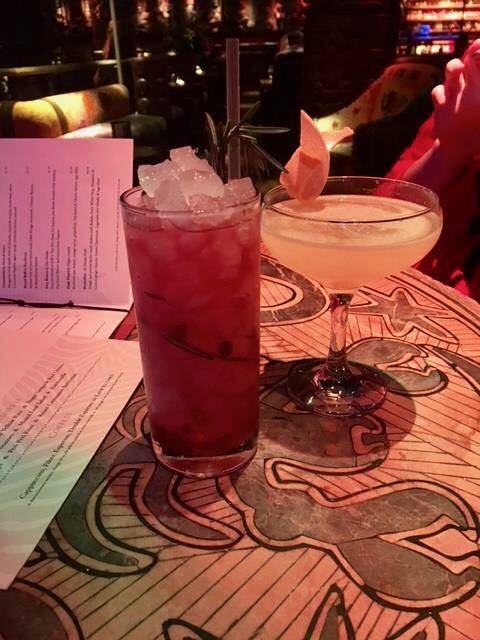 We tried the Shark Alley (vodka, pomegranate and rosemary) and the Safari Martini (gin, elderflower and passionfruit). They were strong in flavour without being too intense and these were a great way to start the evening. 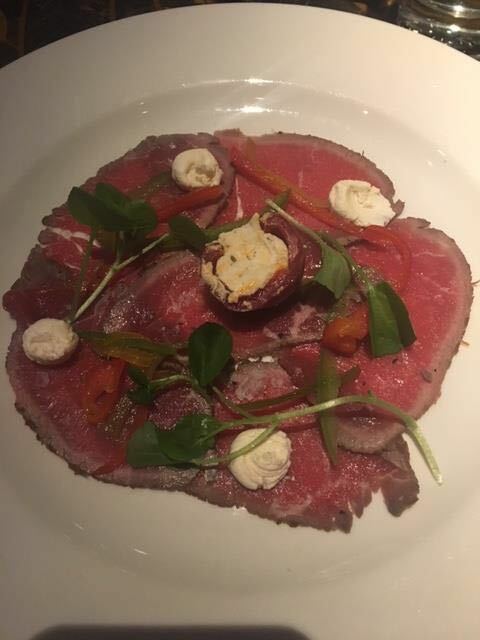 For the first course we tried the beef carpaccio and the lamb samosa’s. The beef was incredibly tender, with an added tanginess from the goats cheese purée. 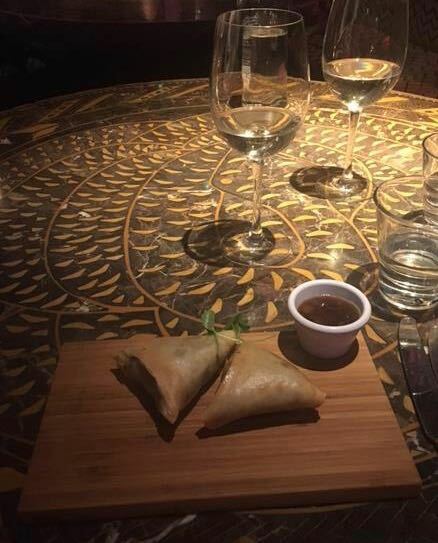 The lamb samosa’s came in a really delicate pastry, with great quality lamb. We then had the spatchcock chicken, which came with a dipping gravy. The chicken was really moist and the gravy added a delicious side note. 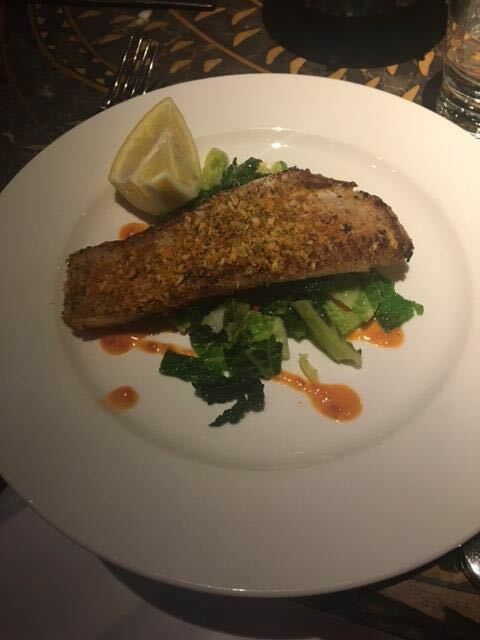 We also had the kingklip which was cajun spiced- this added a really great kick. 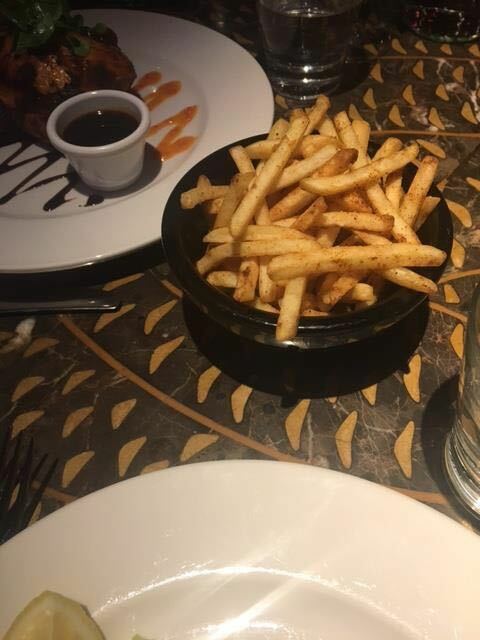 We also shared the peri peri fries - which had a perfectly generous amount of seasoning. 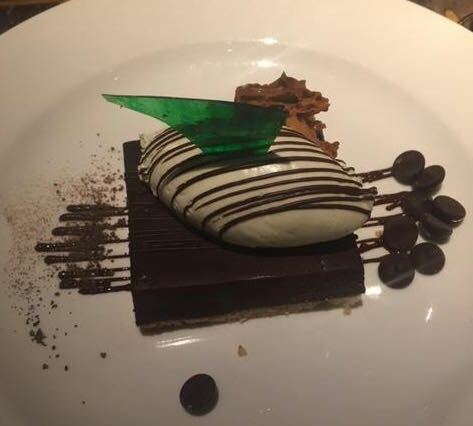 For desert we had the dark chocolate tart with honeycomb crackling. This had a real rich flavour, and the honey comb added a sweetness. The scoop of cream kept it all fresh! There was live music which started playing, which again really created a great atmosphere. 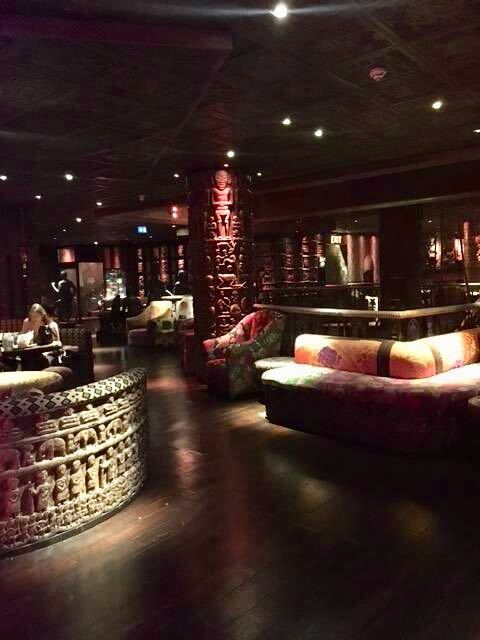 I would definitely recommend giving Shaka Zulu a visit, as there are so many incredible dishes to try.